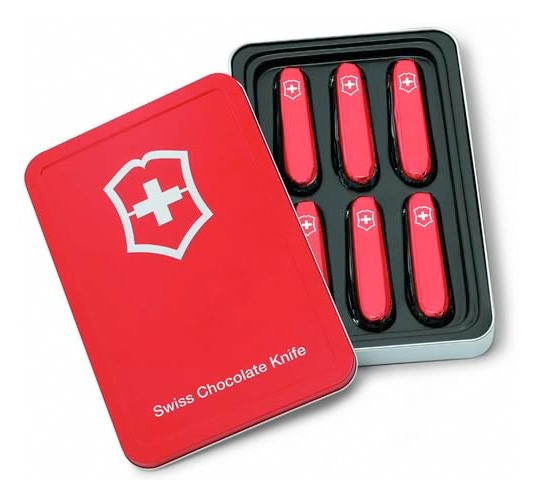 f Victorinox, the Swiss Army knife maker, although we’re open to correction on this. 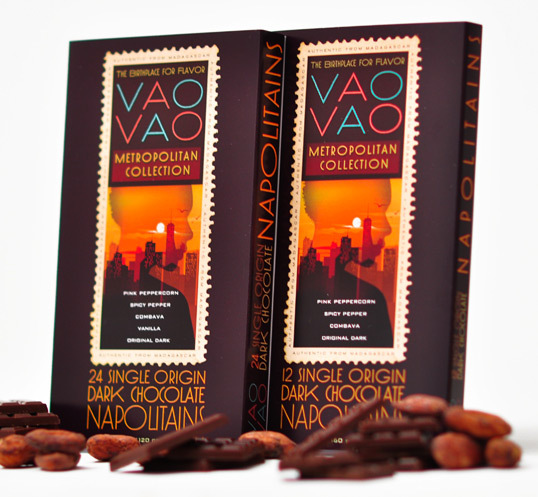 Moulded chocolates accurately wrapped in printed foil are available alone or in tins of 6. New work from New York based DBD International. These very illustrative designs capture the Madagascan origin of the product. 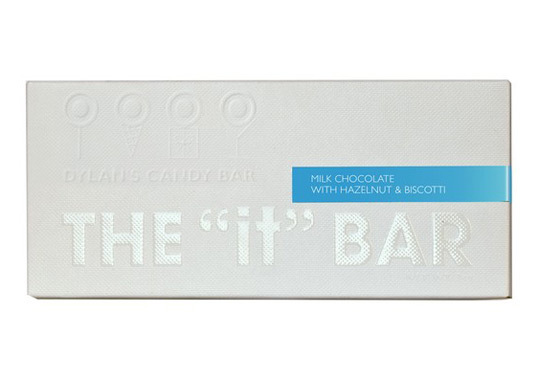 The “it Bar from Dylan’s Candy Bar comes beautifully packaged in a white textured box with blind embossing, foil stamp and tip-on label.